Double your impact! Do you want to double your donation to Project Grad 2018 without it coming out of your own pocket? Many Austin companies offer a Matching Gifts or Corporate Match program. Your contribution to Project Grad 2018 will be matched dollar for dollar, by your corporation or its charitable foundation. ​Matching Gifts programs are a great way for companies or foundations to help support their employees’ charities, while non-profit organizations like Project Grad 2018 get the benefit of a doubled donation. ​Participating Companies in the Austin Area that participate in corporate donation matching are listed below. If you do not see your company on the list, please check with them. Thank you in advance for dontating and taking the time to make sure that your donation is matched!!!! We can not do Project Gradutation 2018 without your support!!! The Matching Process- Every Company or foundation handles their matching program differently. Please check with your company to find out the process that they use to match your donation. If your company or foundation needs more information from Project Grad please let us know. Thanks in advance for taking the time to do this! Remember they match dollar for dollar! Merrill Lynch & Co. Foundation, Inc. Please note: This list is not comprehensive. If your company is not listed here, you may have a matching program. 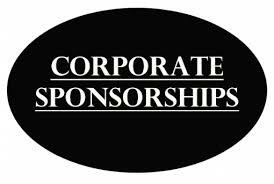 Please check with your company or foundation, and email us so that we can include your company or organization on our website. 1. Contact your company or foundation to deterlmine their specific steps for matching donations. 2. Email us if you need Project Grad 2018 to complete a form, send a letter, or assist in any way.